The NYCRC provided a $12 million loan to an affiliate of Macro Sea, the real estate company selected by the Brooklyn Navy Yard Development Corporation to oversee the project. The capital was used to help fund the next phase of redevelopment at the government-owned Brooklyn Navy Yard, the largest industrial park in New York City. The Project included the construction of an 84,000 square foot high-tech manufacturing facility within the Navy Yard. The new interdisciplinary manufacturing center is providing collaborative work space for digital manufacturers, architects, university researchers, entrepreneurs, and inventors. The space includes private studios, conference rooms, co-working desks, and a state-of-the-art prototyping workshop. The space also includes a full metal shop, wood shop, and 3-D printing area to allow tenants to take their ideas from concept to prototyping to production all under one roof. 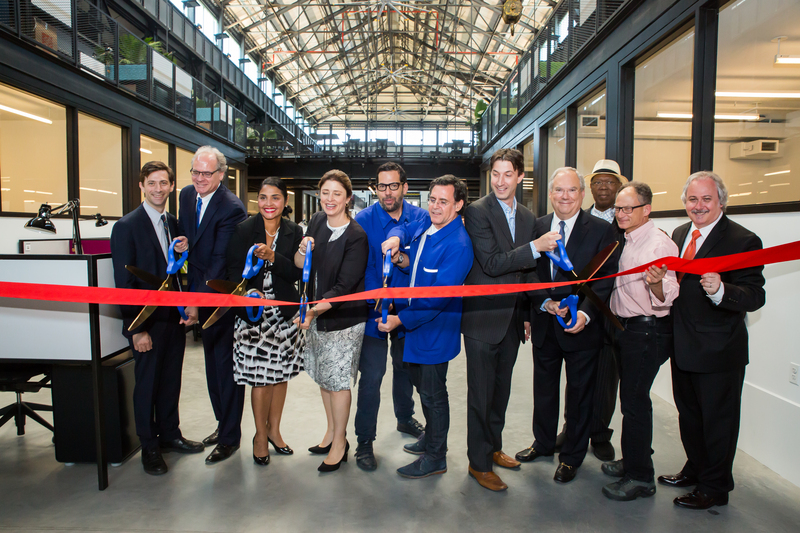 The project is part of a broader strategy to revitalize New York City’s high-tech manufacturing base by drawing on its strength as a hub for design schools, universities, and technology companies.